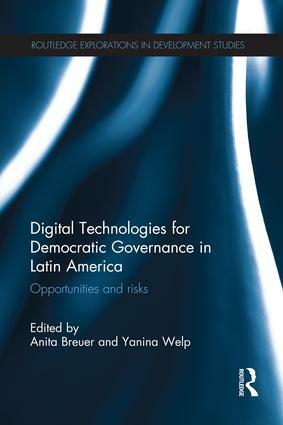 Specifically, the book examines if and how far the spread and use of new ICT affected central aims of democratic governance such as reducing socio-economic and gender inequality; strengthening citizen participation in political decision making; increasing the transparency of legislative processes; improving administrative processes; providing free access to government data and information; and expanding independent spaces of citizen communication. The country case and cross-country explore a range of bottom-up driven initiatives to reinforce democracy in the region. The book offers researchers and students an interdisciplinary approach to these issues by linking it to established theories of media and politics, political communication, political participation, and governance. Giving voice to researchers native to the region and with direct experience of the region, it uniquely brings together contributions from political scientists, researchers in communication studies and area studies specialists who have a solid record in political activism and international development co-operation. A digital sublime or divide? Crafting a new parliamentary dialogue sphere?